Are you hoping to return to work this year? Considering a career change but not sure what you want to do? Hoping to find a family-friendly job? Need a little confidence boost to get you started? Join us for this friendly, informal How to Return to Work workshop, in Hampstead on 19 September 2017, where we’ll be delighted to help. We will share our top tips for the easiest, most effective ways to re-enter the workforce. Our careers expert, Kath Sloggett, will take you through a process for working out what you want to do next. Raising aspirations and boosting your confidence, Kath will also give guidance on how to get the role you want, including advice on the best places to look for roles (nope, it’s not online! ), and quick tips on how to update your CV and LinkedIn. Come along and meet other local returners, share your experiences and get inspired for your next career step. When: Tuesday, 19th September, 2017, from 10.00am – 11.30am. Please arrive a few minutes early if you wish to order a tea or coffee downstairs beforehand the workshop begins. We will to start promptly at 10.00am. Where: Upstairs at Côte Brasserie in Hampstead (83-84 Hampstead High Street, London, NW3 1RE). There is pay & display parking nearby, and the venue is close to Hampstead tube station and is well served by local buses. Bringing children? We want you to get the most out of the session so we ask that you don’t bring your little ones along. But we’re parents too and understand that occasionally the best laid plans go awry. Drop us a line at hello@runnethlondon.com if you need to bring your baby. Unfortunately we do not have space for toddlers or older children. Cost: Tickets are only £15 but spaces are limited. This is one of our most popular workshops so please book soon to avoid disappointment. For more details and how to book, click here. 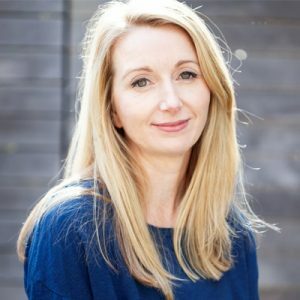 Kath Sloggett, founder of Runneth London, is an entrepreneur, career coach and start up adviser, with over 10 years’ experience advising professionals and entrepreneurs. She is also a working mother, with two children aged 7 and 5.